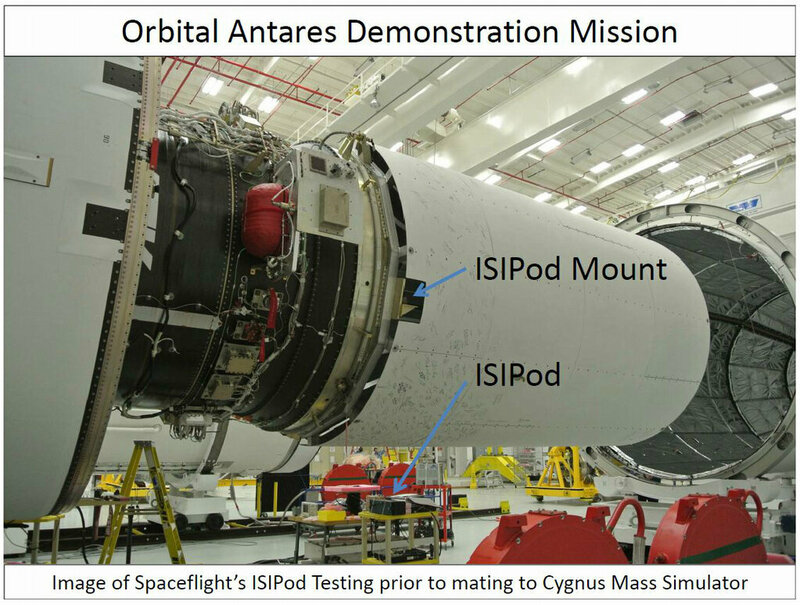 Several CubeSats carrying amateur radio payloads are planned to launch on the Antares-110 mission in April. Among the amateur radio CubeSats on the launch are three Phonesats which will all carry Google Nexus smartphones similar to the pioneering UK smartphone satellite STRaND-1 that was launched in February. There will be two PhoneSat 1.0’s and one PhoneSat 2.0 on the launch. PhoneSat 1.0 cost about $3500 and is built around the Nexus One smartphone, it operates on battery power only with a mission lifetime of approx 1 week. PhoneSat 2.0 is more expensive at $8000. It is built around the Nexus S smartphone and has solar panels on each face and a mission lifetime until de-orbit of approximately 2 weeks. The IARU amateur satellite frequency coordination panel have coordinated frequencies of 437.425 MHz and 2401.2-2431.2MHz for the PhoneSats. Also on the launch is the Dove-1 CubeSat. The Antares-110 launcher is expected to deploy the satellites into a 250 km 51.6° inclination orbit.